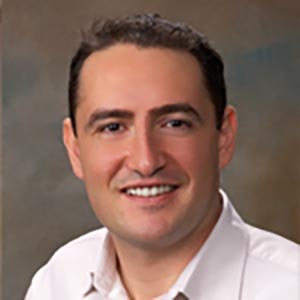 Dr. Korbaj is from Syria and graduated from Damascus University School of Medicine in 1999. He completed his residency at The Brooklyn Hospital Center affiliate Weil Medical College Cornell University, Brooklyn, New York in June, 2007. He is board certified in Internal Medicine. Dr. Korbaj became employed with Professional Health Care of Pinellas, Inc. in September, 2007. He enjoys living in Florida because of the good weather and the medical practice opportunities. Dr. Korbaj divides his time between an office practice, hospital and some long term care facilities. His personal interests include reading, watching sports and exercising. He enjoys reading medical journals and attending workshops and seminars to stay updated on the newest medical developments.